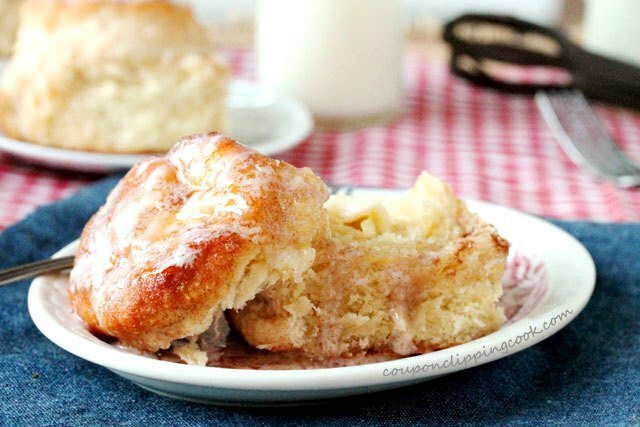 When Snickerdoodle cookies and tender fluffy oversized biscuits collide you get the best of both worlds. 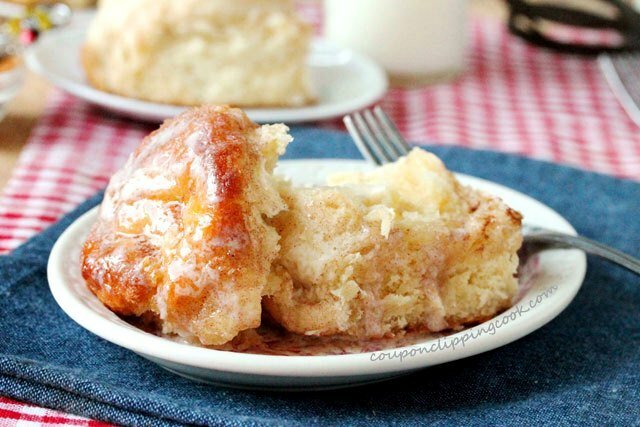 How about a biscuit that’s a cross between a tender fluffy biscuit, snickerdoodle cookie, and a cinnamon roll? 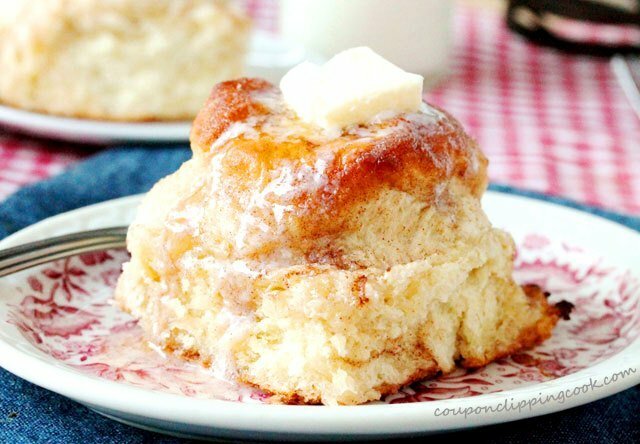 Well here you go, these heavenly biscuits are the perfect thing to sink your teeth into for breakfast. 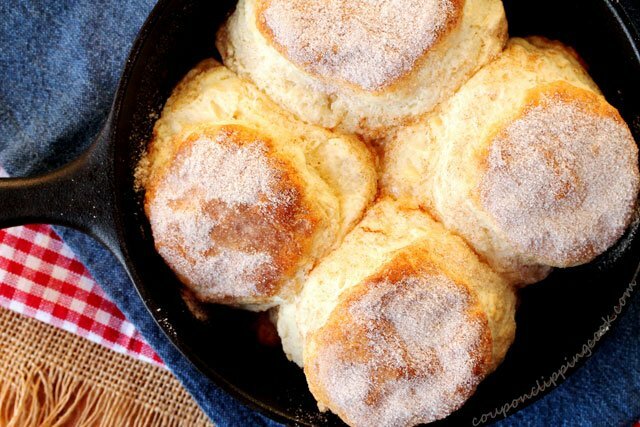 I like to make biscuits in an iron skillet because when the sides of the biscuits are leaning on one another as they cook, they stay nice and soft. 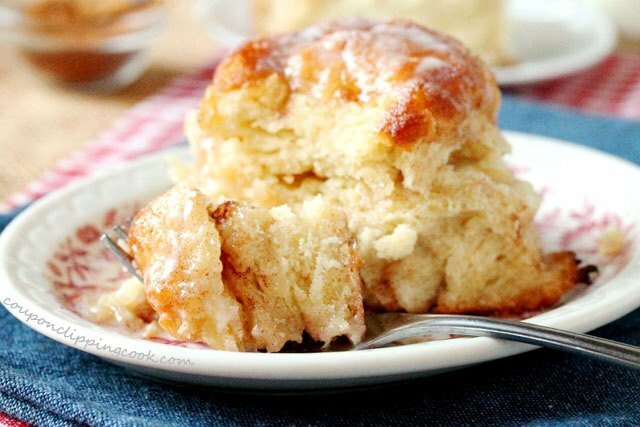 And with this recipe, when the biscuits are pulled apart it reminds me of pulling apart cinnamon rolls. 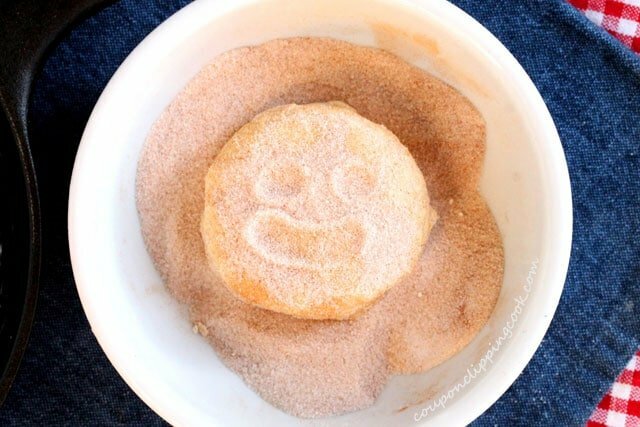 As these yummies cook they smell a lot like snickerdoodle cookies and taste like them too. One thing I’m so guilty of when making biscuits is confusing myself on if I should use baking powder or baking soda. I’ve grabbed the wrong one out of the cupboard and used it in recipes a lot more than once. So now I always do a double-take to make sure I’m putting baking powder in my biscuit recipes instead of that “other one”. Give these biscuits a try and they’ll make your taste buds very happy. 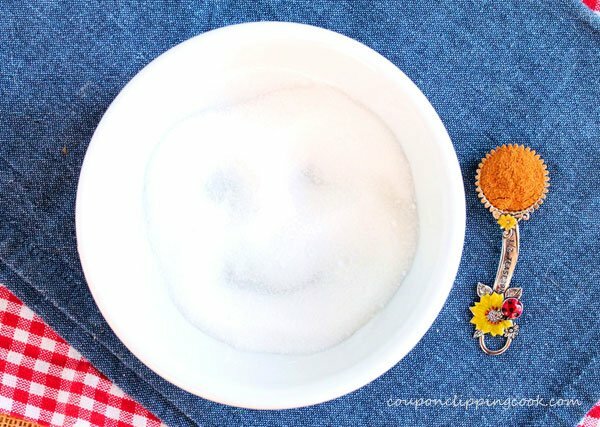 Even the ingredients are happy in this recipe….see if you can find the 3 most happy faces in the pictures below. Grease the skillet with butter and set aside. chilled, small cubes of butter. With a pastry cutter or a large sturdy fork, cut the butter into the ingredients. 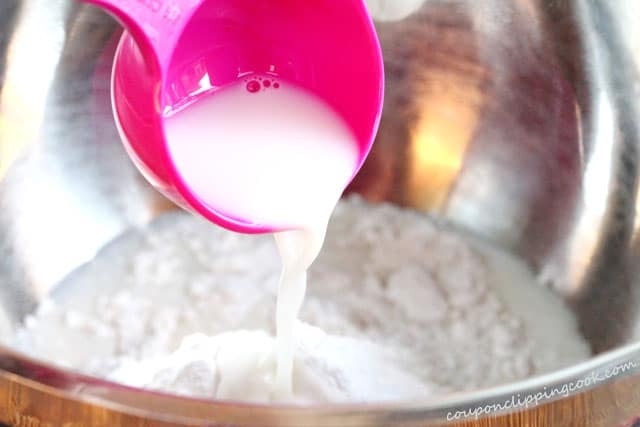 Continue to mix the ingredients together with the fork until dough forms. …and add the dough. 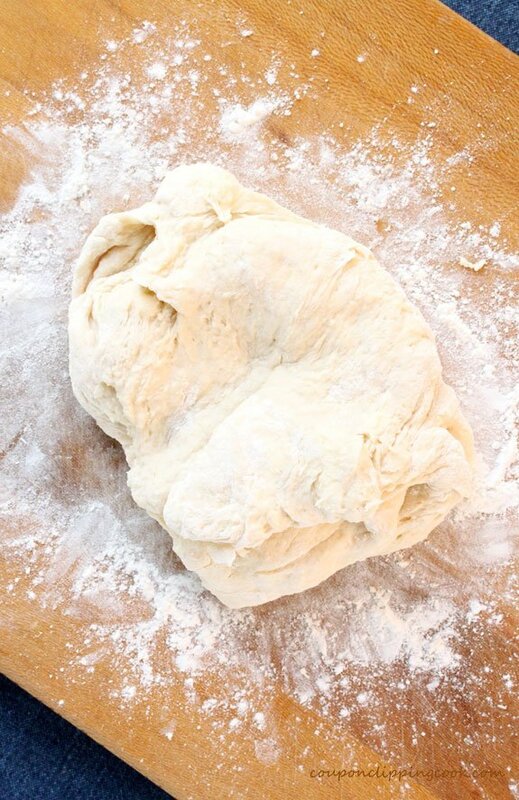 Knead the dough a few times until the texture becomes sturdy enough to roll. 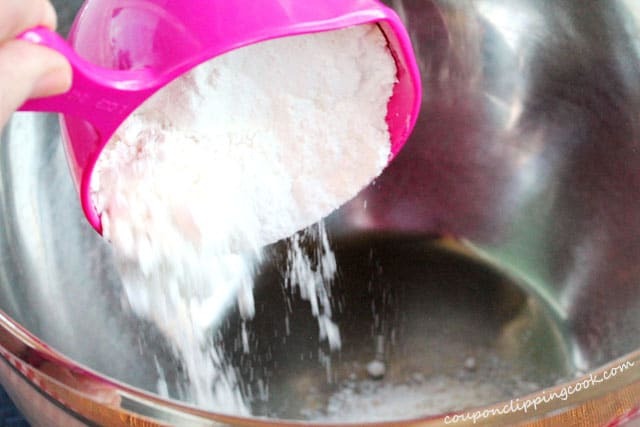 Add a light coating of flour to a rolling pin and roll out the dough until it’s about 1-1/4 inches thick. 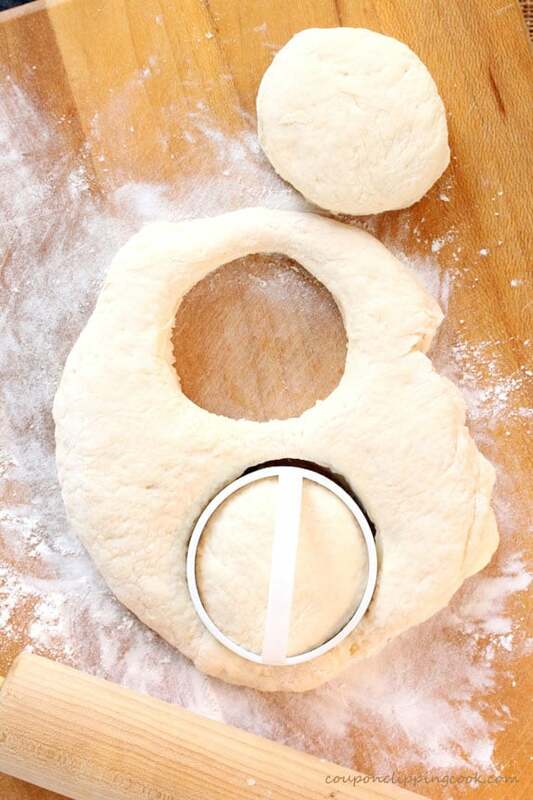 Using a 3-inch wide biscuit or cookie cutter, cut the dough into 4 large biscuits. Set aside for a moment. …and lay it in the skillet. Repeat for the remaining 3 biscuits so that each biscuit is leaning against one another. Bake in a preheated oven until the biscuits turn a light golden color (about 16 minutes). finger licking worthy for sure. Make ahead of time and all you have to do is warm them up before adding the butter on top. Then enjoy each and every bite. 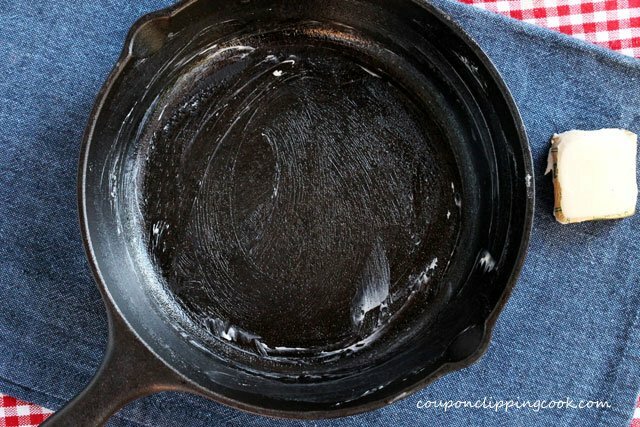 Grease the skillet with butter and set aside. 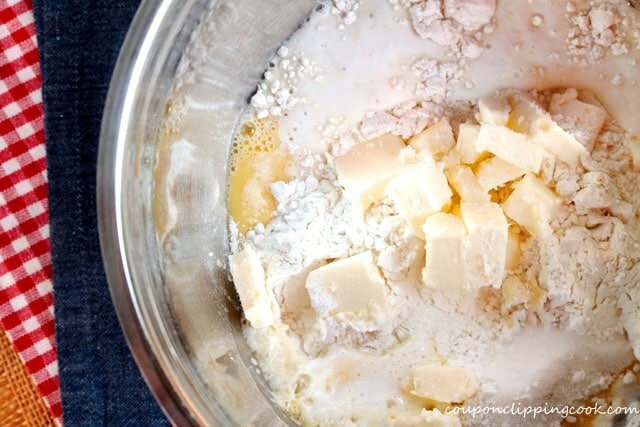 To a large bowl, add the flour, baking powder, salt, milk, sugar, cream of tartar, egg, and chilled, small cubes of butter. 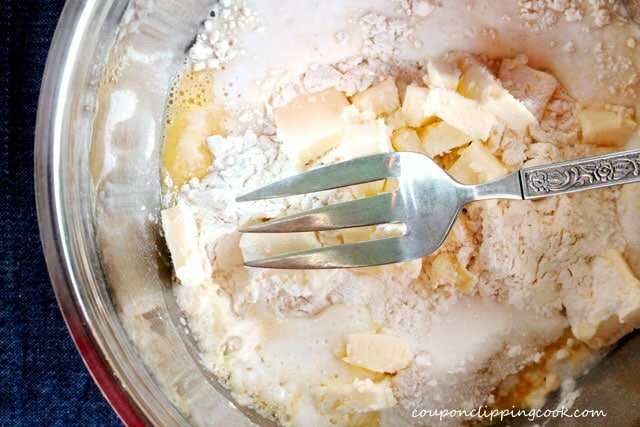 With a pastry cutter or a large sturdy fork, cut the butter into the ingredients. Continue to mix the ingredients together with the fork until dough forms. 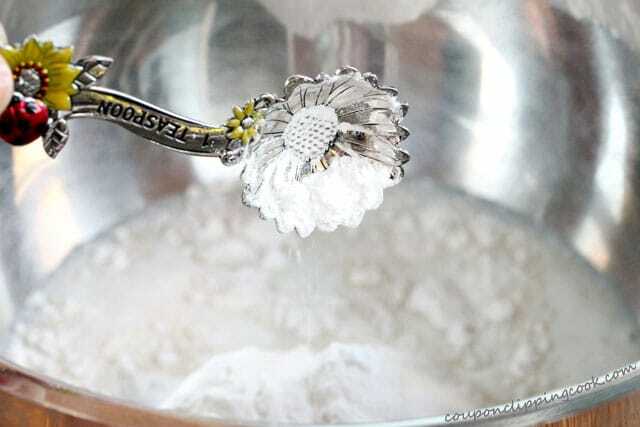 Sprinkle a light coating of flour on to a large cutting board and add the dough. 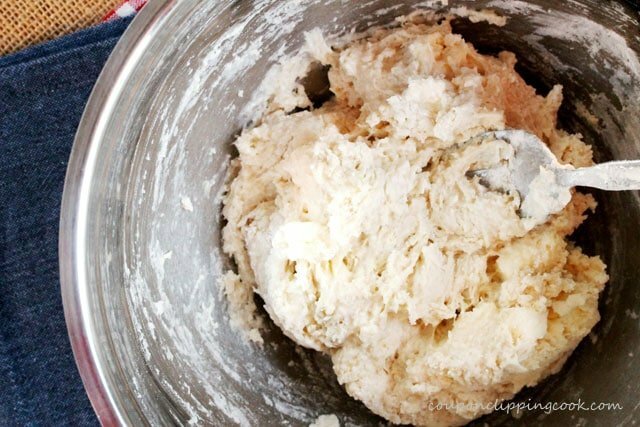 Knead the dough a few times until the texture becomes sturdy enough to roll. Add a light coating of flour to a rolling pin and roll out the dough until it’s about 1-1/4 inches thick. Using a 3-inch wide biscuit or cookie cutter, cut the dough into 4 large biscuits. 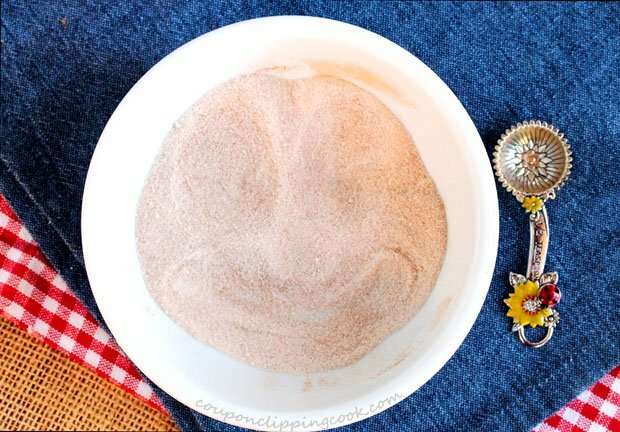 In a small bowl, mix together the cinnamon and sugar. 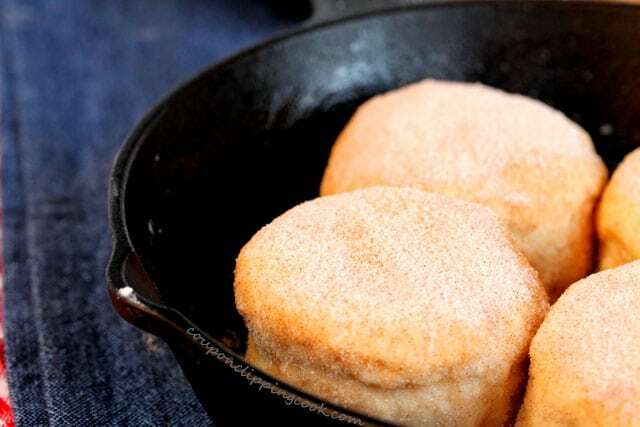 Coat all sides of a biscuit with the cinnamon and sugar mixture, and lay it in the skillet. Repeat for the remaining 3 biscuits so that each biscuit is leaning against one another. Bake in a preheated oven until the biscuits turn a light golden color (about 16 minutes). 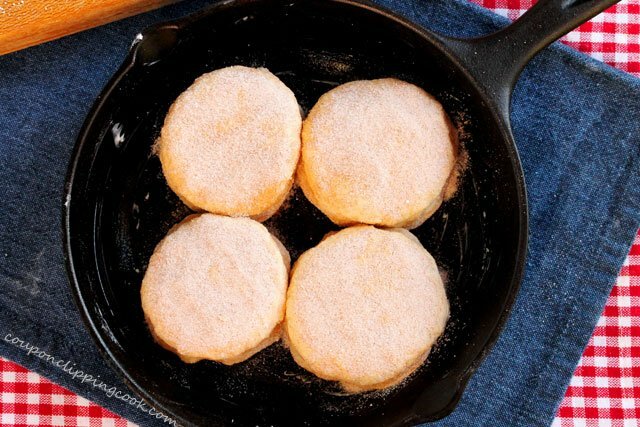 Remove the biscuits from the oven and serve while hot, topped with butter. The recipe looks great – but I’m an admitted kitchen tool addict. 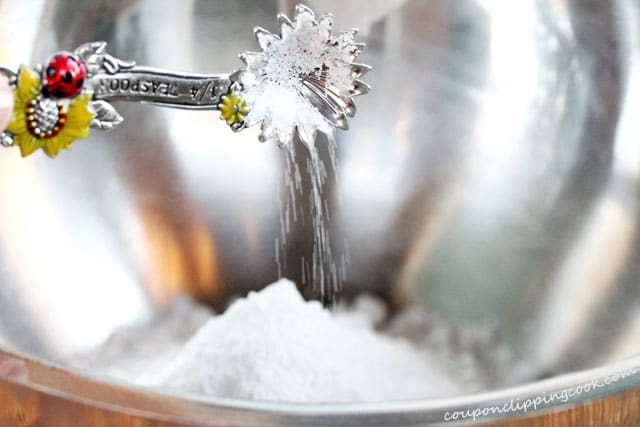 Do tell – those are the CUTEST measuring spoons in the world? Care to share? Where are they from? Oh – and thanks for the yummy recipe! 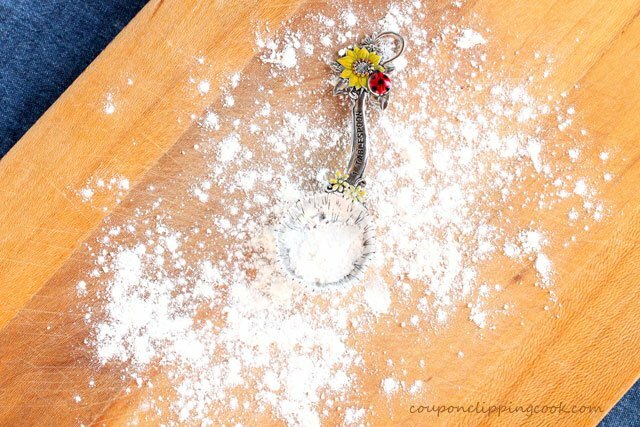 Hi Leona, so glad you liked those cute measuring spoons (and the recipe too of course). I LOVE those measuring spoons and couldn’t resist buying them when I was at the Sacramento CA airport. They were at a store called “Visions of Eden”. They also have a store near downtown Sacramento in an area called “Old Sacramento”. Thank you so much for stopping by! 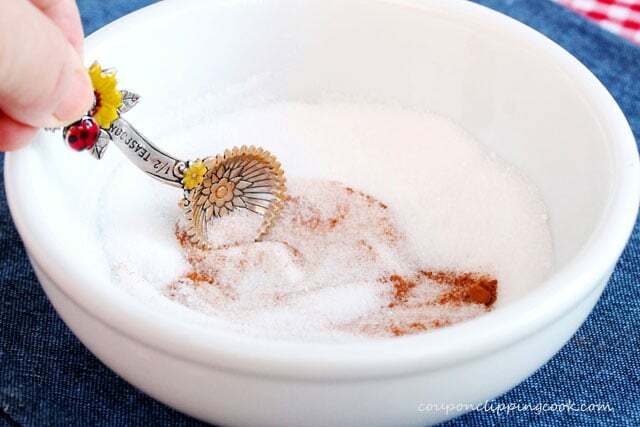 is there a substitute I can use for the cream of tartar? Will the recipe function the same if it is omitted? Hi Ken, this is a great question. 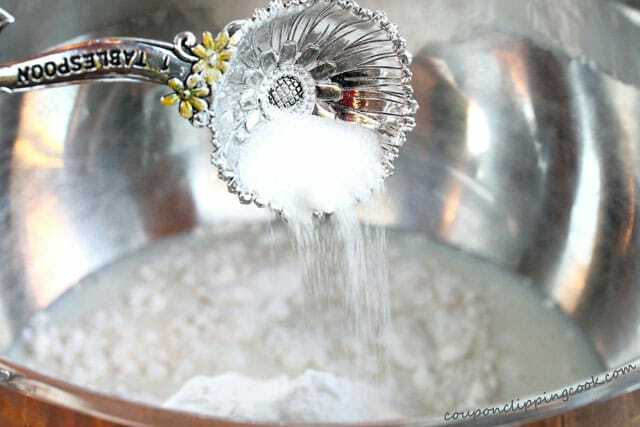 Cream of tartar isn’t always something that’s kept in the pantry. 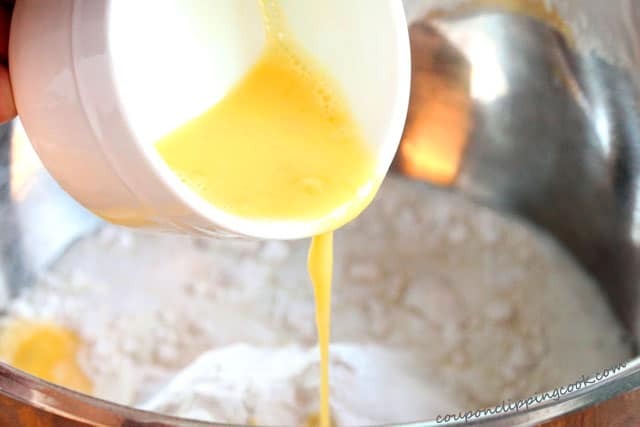 Although I haven’t tried the recipe without using cream of tartar, lemon juice or white vinegar can be used as a substitute; for every 1/2 teaspoon of cream of tarter use 1 teaspoon of lemon juice or white vinegar. 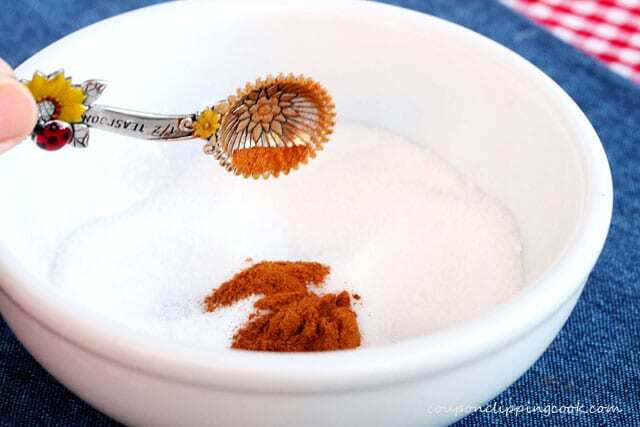 Here’s a link to a post with a nice explanation about cream of tarter and this substitution. 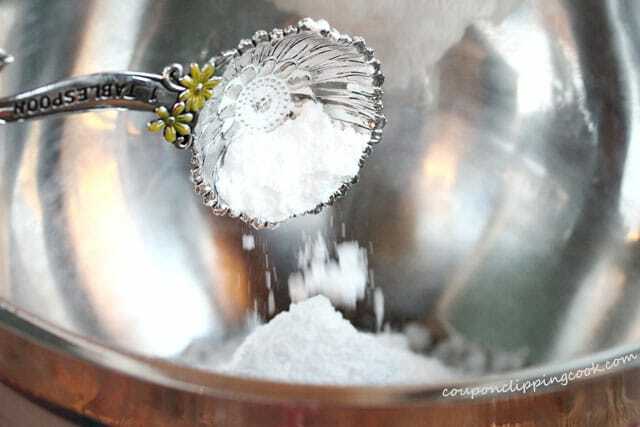 http://simmerandboil.cookinglight.com/2015/05/26/substitute-for-cream-of-tartar/ So in this recipe, I would try using 2 teaspoons of either lemon juice or white vinegar. I may just have to try this substitute one day to see how it works. Thank you for stopping by! Technically, the egg and sugar make these scones. And who doesn’t love a good scone! 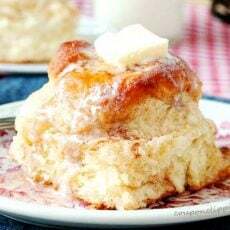 Hi Marion, thank you for your comment and links on biscuits vs. scones. I love them both! Have a wonderful weekend. 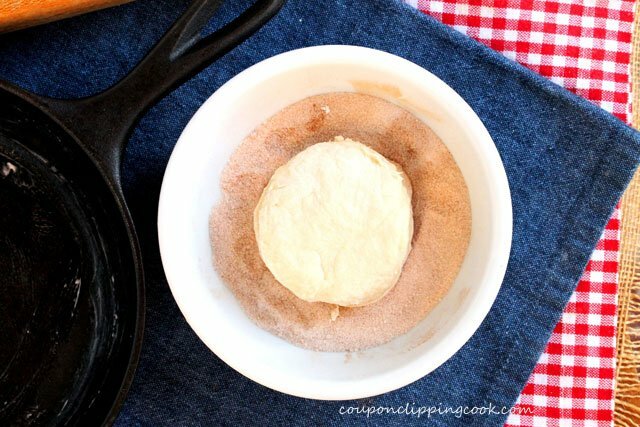 Can you make these without the skillet? Hi Teresa, you sure can. 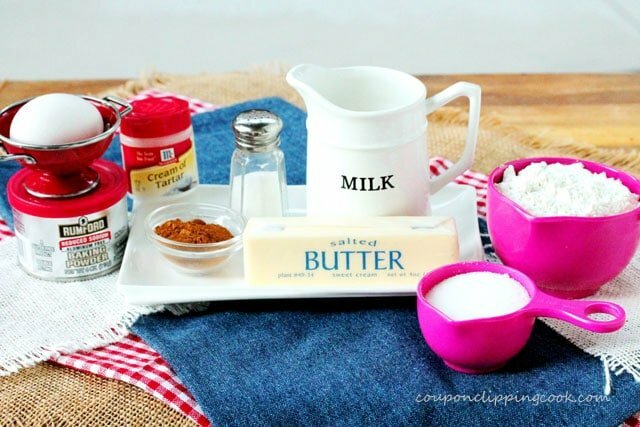 Just add some butter to grease the cookie sheet or pan that you use and they might take a little less time to bake. Just watch the sides of the biscuits as they bake so they don’t get too brown. Wow, your biscuits look delicious. Will try them.